This part of her speech was recorded and broadcast by Radio 4’s Today Programme. Click here and go to about 21 minutes into the broadcast. Talk of the Israeli “Lobby” has mushroomed since two conservative professors wrote an academic paper in March which blamed “The Lobby” for forcing the US into the invasion of Iraq, which, they claim, was in Israel’s interest but against America’s interest. America’s soldiers, it claimed, are dying not for America, not for Iraq, but for Israel. The problem with the term is that it facilitates a huge conceptual slippage. There are certainly pro-Israel lobbying organisations, some of which support the politics of the Israeli right, and some of which are influential in US public life. There are certainly a number of Jewish communal organisations and a number of campaigns against antisemitism which seek to influence policy and attitudes. Such campaigning organisations are legitimate. And to disagree with what they say and to campaign against their aims is also legitimate. But very often the ways that the terms “Israel Lobby” and “Jewish Lobby” are used, transform the meaning of the term into something much more sinister. One of the classic themes of various historical antisemitisms has been the charge that there is a hugely powerful, secret, well-funded global Jewish conspiracy. The Protocols of the Elders of Zion was a book that claimed to be evidence of the existence of such a conspiracy. The fact that it was a forgery has not prevented conspiracy theorists publishing it in every language all over the world ever since. The fact that “the Jews” claim it to be a forgery is only held to be further evidence of their conspiracy. Another classic theme is referred to as the “blood libel”. Jews have often been accused of murdering innocent non-Jewish children in order to obtain their blood for ritual purposes. If this was true, then of course there must also be a Jewish conspiracy to cover it up. 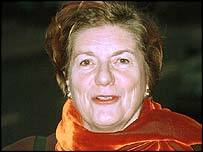 So what did Baroness Tonge mean yesterday? She might simply have meant that campaigns that are “pro-Israel” have succeeded in persuading most people in the “Western World” that their view is the right one. Or she might have meant that such campaigns have had a particular success in influencing powerful people in the “Western World”. How? Well she is explicit: financially. These campaigns, she might have meant, are well financed and they are able to pay for staff, travel, secretarial support, media advertising and to sponsor political candidates with whom they agree. She might have meant, simply, that many Liberal Democrats are persuaded by some of the arguments that are put forward by campaigns which fight for a world-view that is friendly to Israel. If that was what she meant, that wasn’t what she said. One kind of slippage that the “Lobby” rhetoric lends itself to is in implying that different campaigns with different aims and different politics are all, really, one. This is how Steven Rose contrives to blame “The Lobby” for having sent him death threats. The nutter who sends death threats is conflated into the unity of the “Lobby” and becomes part of a united and secret campaign. For Tonge, the term “pro-Israel Lobby” conflates all of the different campaigns into one – with a strong enough centralised leadership to get a “grip” on, not only political parties, but the whole of the “Western World”. She is talking about a conspiracy with sufficient power to dominate on a global scale. Financial power. Another old antisemitic theme is the connection of Jews to money and finance. It is through financial power that the “Lobby” “grips”, according to Tonge. Her language is not appropriate to describe a situation where she has lost an argument to other campaigns. It is only appropriate to describe a situation where there is a huge financial conspiracy to corrupt and to lie and to use force. If Israel is really as bad as the absolute anti-Zionists claim that it is, if it is committing genocide in Gaza, for example, then it follows that there must be a huge conspiracy to cover the fact. Conspiracy theory is a necessary element to the portrayal of Israel as though it was a unique evil in the world. Jenny Tonge may be unaware of what the language that she uses means. But she has no excuses. She is not a naïve young newcomer to these debates. She has a duty to educate herself such that she does not peddle conspiracy theory. She has failed in this duty. The meeting was organized by Chris Davies, who was forced to resign as the leader of the Lib Dems in the European Parliament after sending an abusive email to one of his Jewish constituents in response to her criticism of his comparison of Israeli policy with the Nazi genocide of the Jews. “Sounds like racism to me. I hope you enjoying wallowing in your own filth,” he wrote. Read the story here. Increasingly cranky “anti-Zionist” conspiracy theory is emerging out of the cobwebbed corners of the left into the mainstream. This is no longer a problem of the left. It is a problem of the political left, right, and centre.